Kendrick Lamar didn't drop any hotly anticipated new music today and fans are struggling to take it all in. "Y'all got 'til April the 7th to get y'all s**t together." While the Compton native never confirmed or denied a possible fourth album, many supporters speculated that there would be a project scheduled to drop on 7th April - a single, at the very least. Alas, they were left disappointed when no such material surfaced. Kendrick did, however, confirm that his fourth studio album will be dropping next Friday. 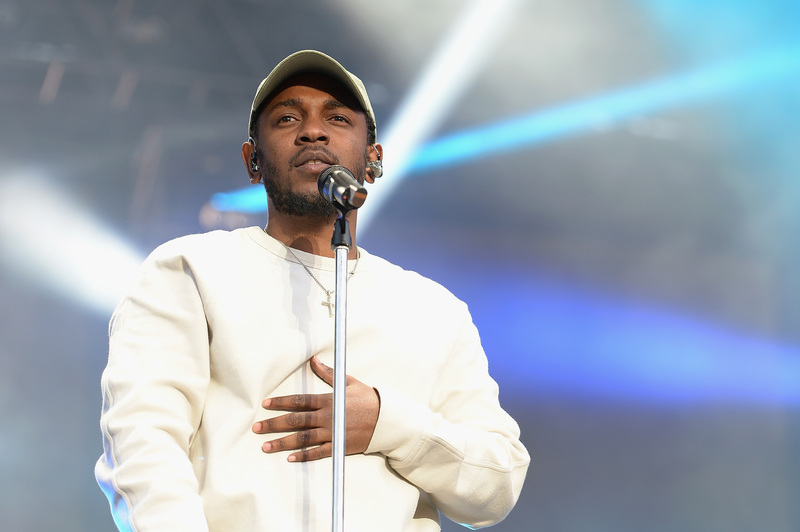 Looks like #KendrickLamar's album will be dropping on the 14th! Despite this, it seems the wait and anticipation was all too much for some of Kendrick's fans, who had been eagerly awaiting new music. Many took to Twitter to express their disappointment and share their responses with fellow K. Dot followers. Some were more understanding, pointing out a possible reason for Kendrick's delay. Users noted that 7th April was also the album release date of fellow rapper Joey Bada$$, suggesting Lamar changed his own release to shift focus onto his peer. Until then, fans will have to make do with Kendrick's latest releases - 'The Heart Part 4' and 'HUMBLE', the latter of which has an epic accompanying visual. The 29-year-old also recently featured alongside Travis Scott in the psychedelic music video for their collaboration 'Goosebumps'.